Oleoestepa is a second degree cooperative made up of mills located in the regions of Estepa and Sierra Sur (in the province of Seville and Puente Genil in Cordoba. The mission of Oleoestepa is to sell the entire production of oil from the associated mills and exceed expectations of our clients by maximizing efficiency. 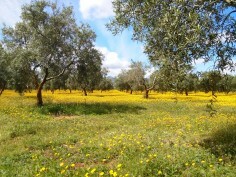 Doing this, we assist and satisfy the olive mills and associated farmers by providing them with sustainable profits. 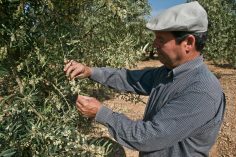 Our vision is to convert Oleoestepa into a model of quality, one in which the producers and salespeople of olive oil throughout the world highly value our products thus rewarding our farmers adequately. Customer Oriented. The focus of our attention is our clients. Our aim is their satisfaction and to exceed their expectations. Sustainability, Health and Safety. Fulfilling and exceeding the legal requirements for environmental and quality standards and adapting our business strategies to the conservation of our surroundings. Ethical conduct. We shall behave professionally with moral integrity, loyalty and respect towards others and the environment. Innovation. Promote, all the way from the olive groves to the stores a continuous improvement and innovation to obtain the maximum quality of our products and services without losing sight of our profit margin. Social commitment. Because of the economic, social and cultural importance that the olive sector has within our region, Oleoestepa is constantly looking to develop and grow its social responsibility to the community.